“Quilting” is the stitches through all three layers of a quilt – the top (which may be pieced or wholecloth), the wadding and the backing fabric. 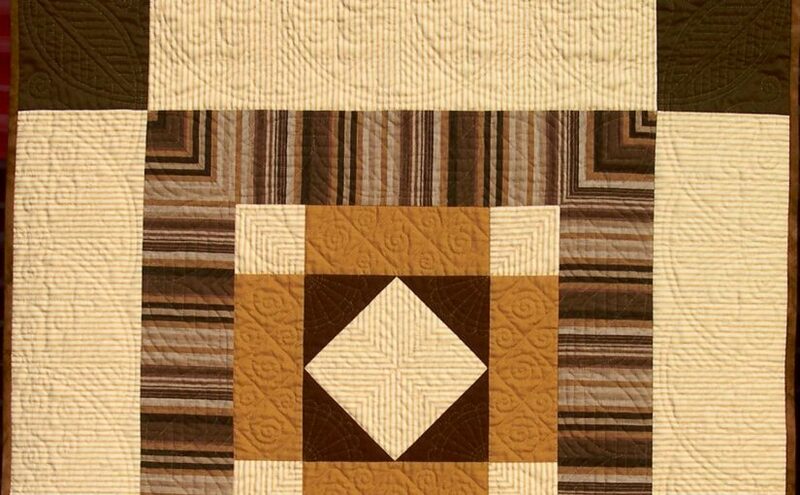 Although this may be simply straight functional lines, choosing more interesting designs adds beauty to the final quilt, as well as being much more exciting to make. 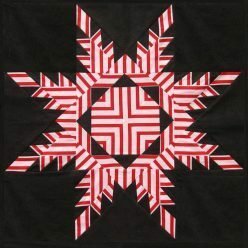 Look at the Quilting Designs page if you are interested in planning how to quilt a project for yourself. 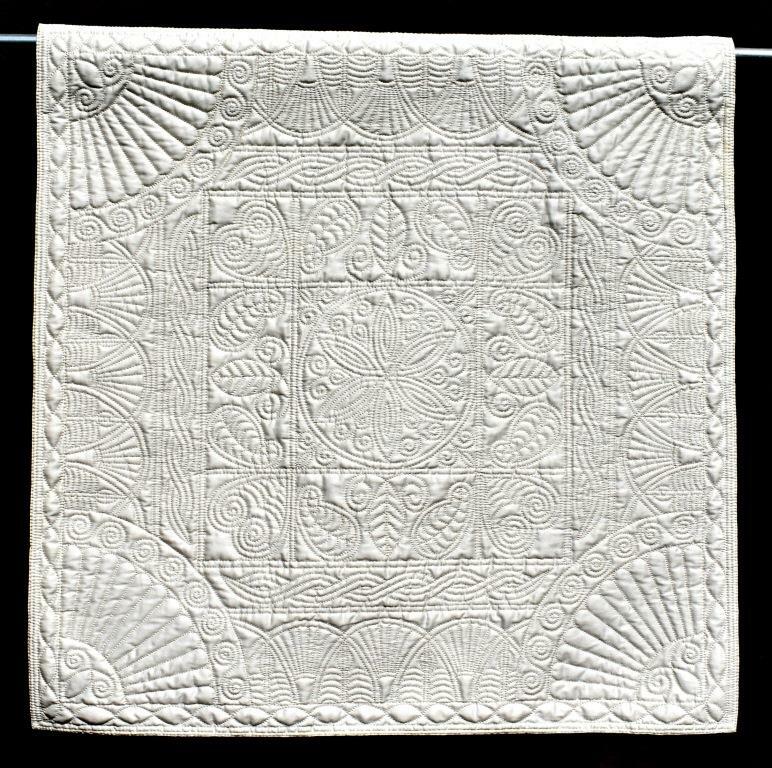 Quilting by hand is the traditional method, and can create designs which are not possible on the machine. 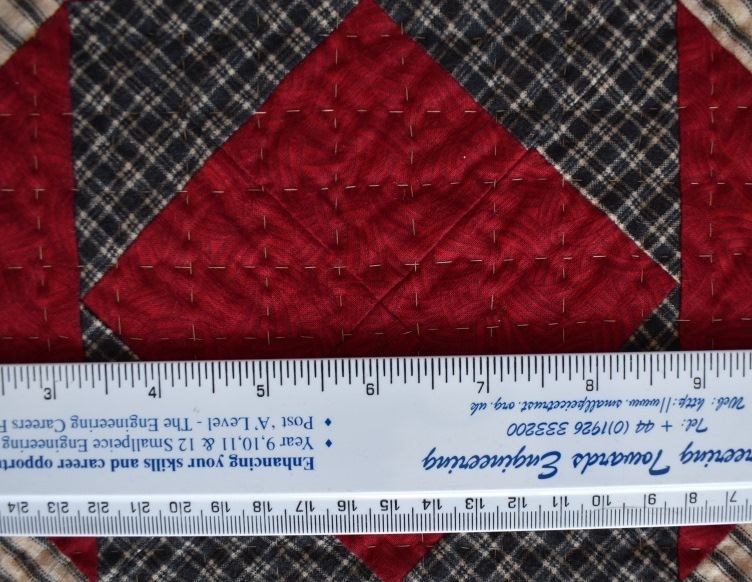 The quality of the stitching on this lap quilt improved noticeably as I persevered; the stitches at the centre (where I started) are twice the size of those nearer the edge! 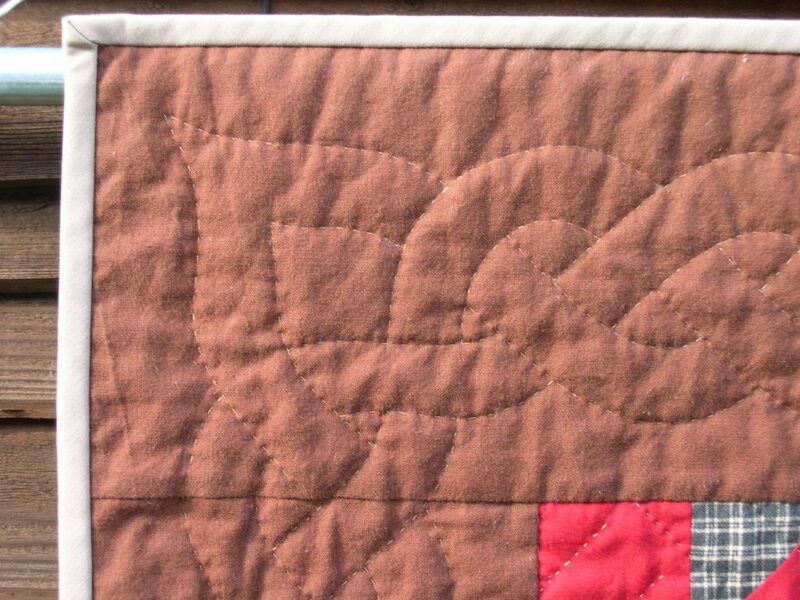 My first attempt at hand quilting…..
Can you see how much my stitches had improved by the time I had got onto the border? 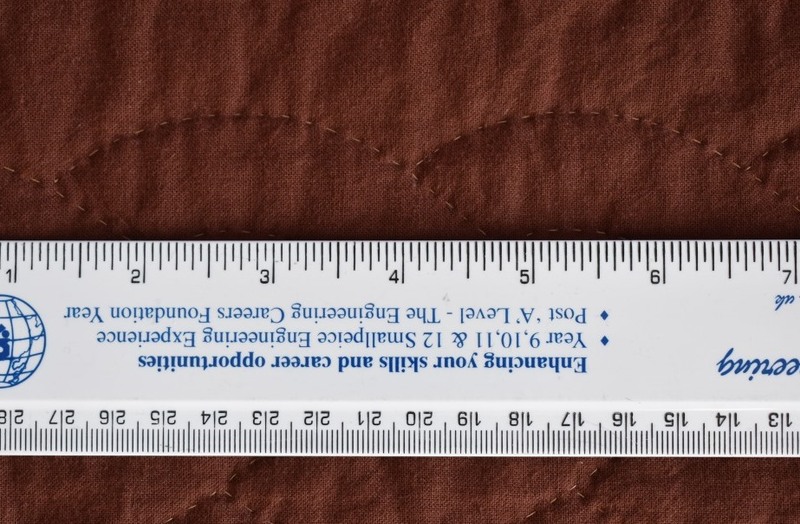 Gradually, my stitches have become smaller and more even. 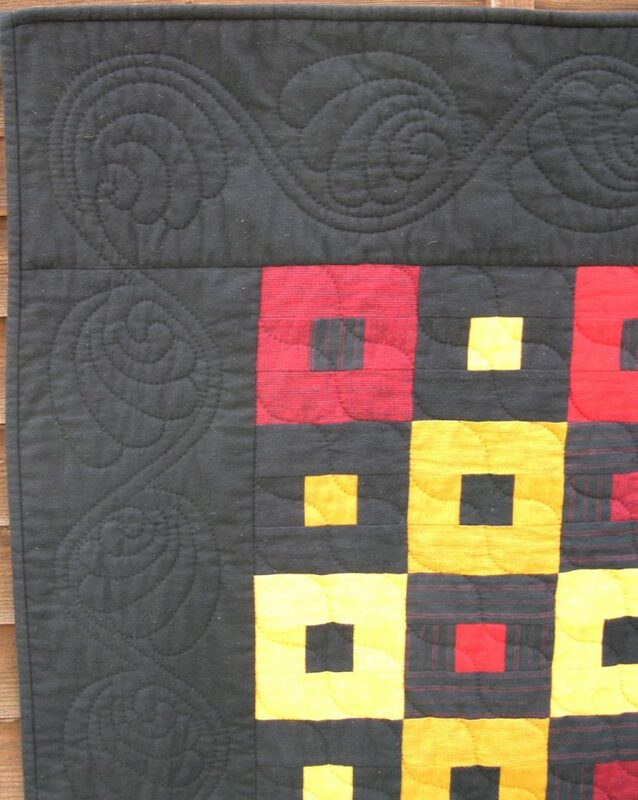 I like to use my antique quilts as inspiration for my quilting designs. 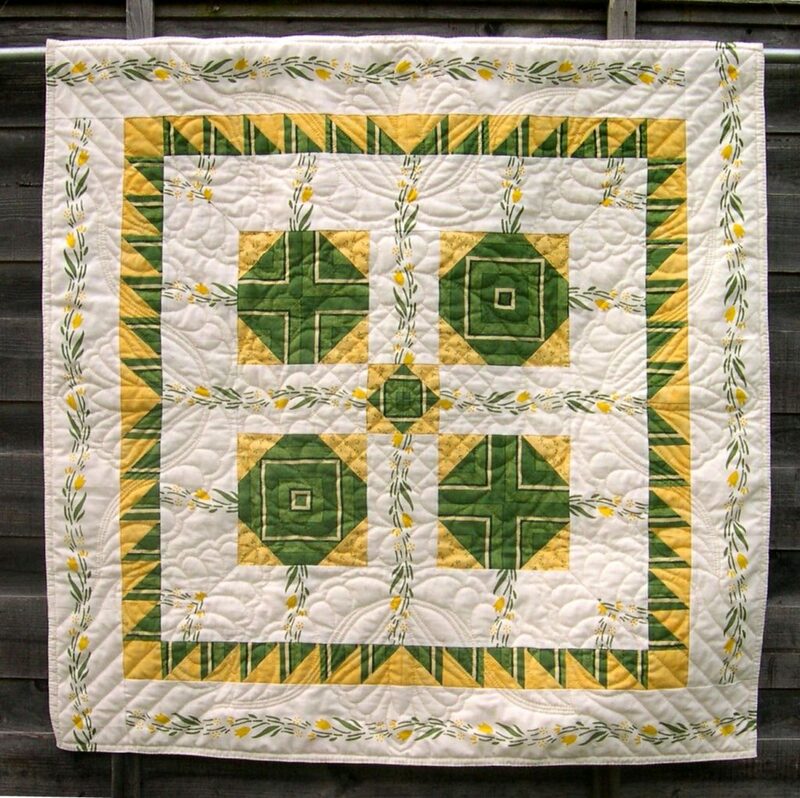 The feather spray motif at the centre of each side of this little quilt was taken from part of the corner of the Yellow Lovers’ Knot wholecloth; and the quilt uses other motifs found in North Country quilts, such as the feather wreath, the scissors and the goosewing. “The Burglar” below was inspired by one of my antique quilts “Rob Peter to Pay Paul”. 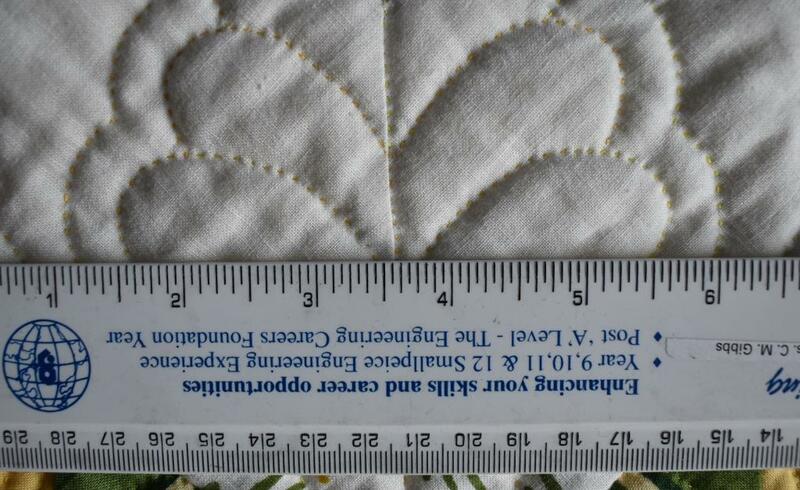 If you compare them, you should be able to see how the quilting design was inspired by that of the older quilt, as well as the curved seam patchwork. The little quilt below is the first wholecloth quilt I have made. 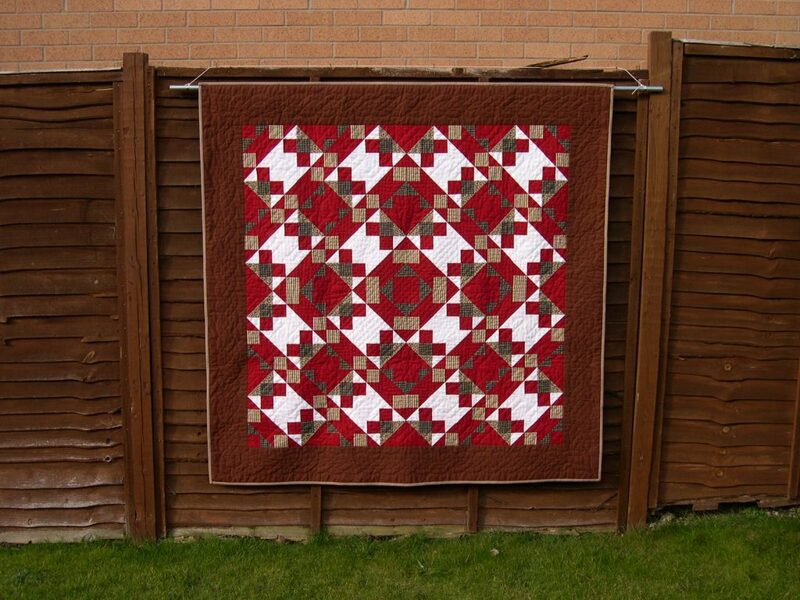 The design is based on traditional Welsh designs – the centre motif is taken from my Pink & Gold Welsh wholecloth, and the fan edge and church window border are taken from the Welsh cotton wholecloth by Q.L. Jones. I intend to produce a pattern for sale soon. Cream of Wales – now a prizewinner! 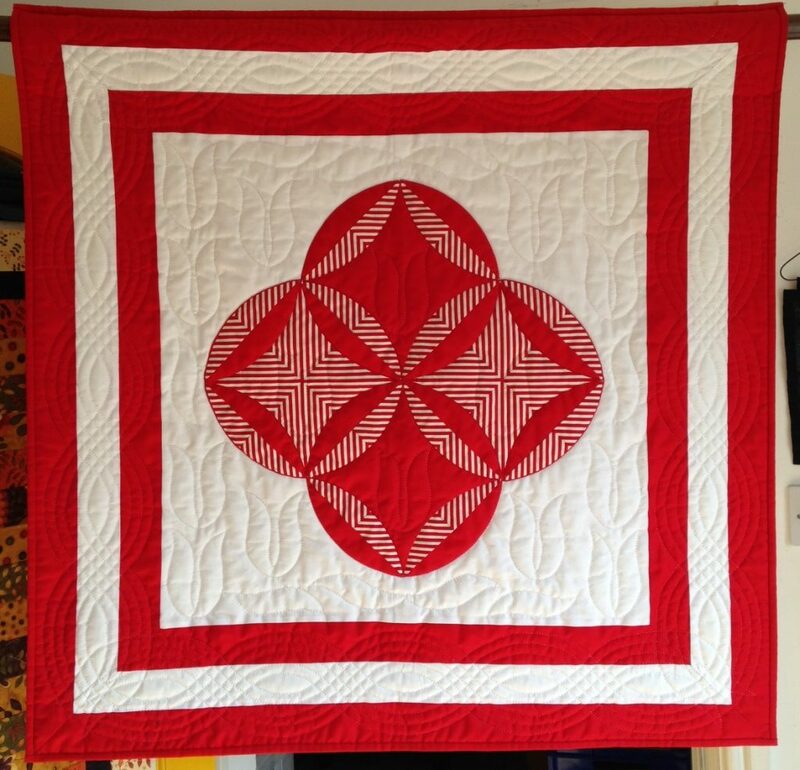 If you have never tried hand quilting, do give it a go – it may not be quick, but it is soothing and rhythmical to stitch, and creates a beautiful texture. 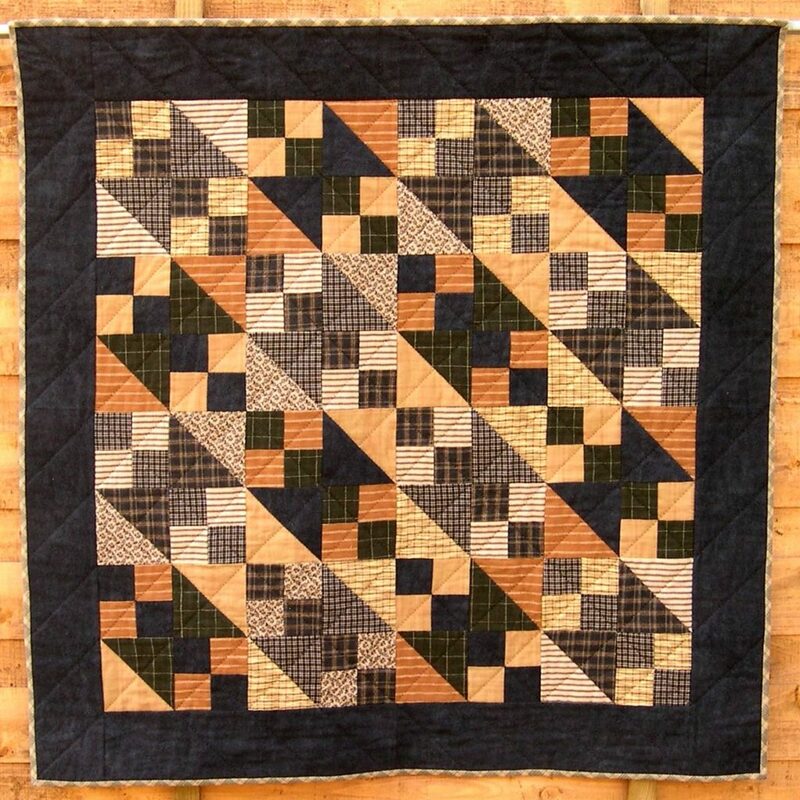 Or click here to look at the wonderful quilted designs on antique Wholecloth Quilts, particularly those of the Border Corners.